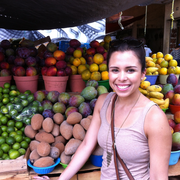 My name is Cecilia Borges, and I am a bilingual (Spanish/English) graduate student at the University of Washington. I have extensive childcare experience beginning with the care of my 16 year old brother (I am 30 years old), whom I helped raise. I've babysat for various families throughout my life and love pets. I am responsible, empathetic, loving, and great with children. Cecilia doesn't have any reviews yet.